Arrowtown, Arrowtown, Otago. Information, Photos and Reviews. 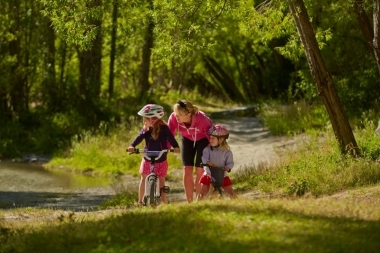 Only 20 minutes from Queenstown, Arrowtown showcases the beautiful scenery, activities, golf, cycling, the district museum, shopping, dining and accommodation. Relics of the gold rush abound from the historic Lakes District Museum to the Chinese Village. Its famous high street with its tree-lined avenue is one of New Zealand’s most photographed sites featuring nineteenth century miners’ cottages. The pretty town sprang from the 1860’s rush for Arrow River gold, and today has an equally fabulous network of cycling and walking trails, scenic lookouts and golf courses. This working village is alive with cafes, shops, bars and people soaking up the special atmosphere. 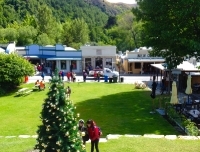 Visit www.arrowtown.com for more information or email info@arrowtown.com. Nobody has reviewed Arrowtown yet, Be the first. You are submitting a booking enquiry. 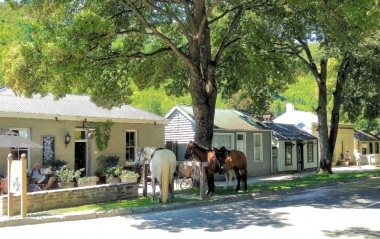 Arrowtown will then contact you by email with details of availability and prices.